Coach to win or coach for enjoyment? I was forwarded an email from a young man of 17 who had been asked what it was about Rugby that made him and his friends carry on playing or stop playing. He spoke to his friends and some of the responses were perhaps what you would expect, but some were more of a surprise, at least to me. Lack of time and doing other activities were mentioned as reasons they stopped playing which are things we have heard before, and it is difficult to combat this with the pressure of exams, work, etc. Some said that rugby is physically too tiring, they get injured and parents discourage them playing because of the risk of injury. What I found disappointing was that some stopped because the coaches were pushing them too hard, the environment was much too competitive and one player said he was picked on by his coach for being unfit. Others said that the coaching was just not very good. 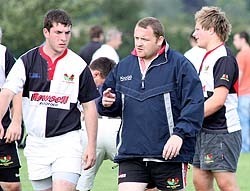 Also mentioned was the transition from youth to adult rugby not being managed with the gap between the two too big. Of those friends that still played rugby and enjoyed it, most were of county standard and were happy to play in adult teams, although they would like to have more age-grade fixtures where they could play with their mates. Moving from youth rugby to adult rugby is a big challenge for rugby clubs, some doing better than others. Those that are successful generally have coaches that remember that unless people enjoy playing they will stop, and those that lose youth players by and large forget that playing with your friends is what keeps youth teams together and that is what will keep many of them playing in future years.